This course prepares employees in dealing with different situations with customers. 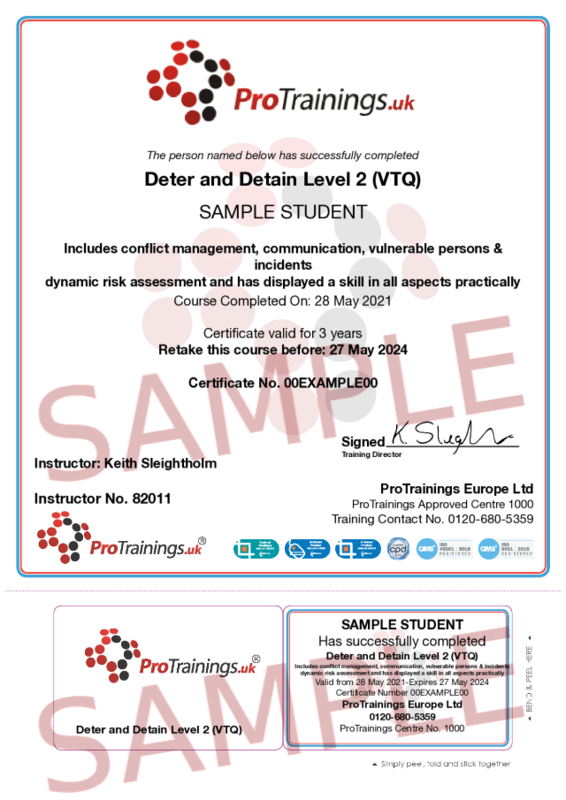 On completion, students will have successfully passed all aspects of the course including conflict management, communication, suspicious persons and incidents, vulnerable persons, dynamic risk assessment and has displayed a skill in all aspects practically. This course will improve communication skills both verbal and non-verbal and raise their awareness in reading communication signs in others.